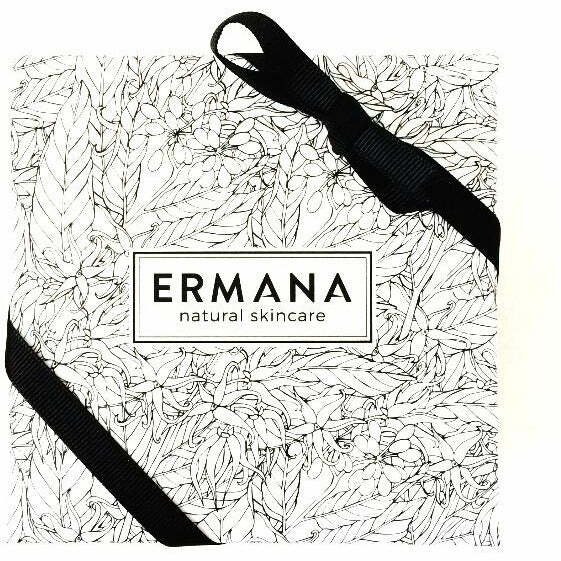 Both packed in our limited edition Ermana box. Smooth face oil for men contains a luxurious blend of nourishing plant oils packed with natural vitamins, minerals, anti oxidants and omega oils essential to keep skin hydrated and younger looking. Infused with pure essential oils rosewood and galbanum which can help to reduce wrinkles and tone the skin. Vitamin E has been added to aid cell regeneration and to boost collagen. Ermana tone muscle balm is a rich blend of natural butters which protect and condition the skin. Warm a small amount of tone muscle balm between the fingertips until the balm melts, and massage into aching or tense muscles. Ideal for pre or post workout rub. Suitable for all skin types. Hand blended with sweet almond oil and beeswax and infused with rosemary, eucalyptus and marjoram pure essential oils which warm the skin, help improve circulation and ease muscular strain. Eucalyptus is best known as a decongestant inhalation for colds and catarrh but it also has very powerful bacterial and antiviral properties. Australian aborigines bind eucalyptus leaves around serious wounds to aid in the healing process. It is also very valuable for burns and can help to form new tissue as the burn heals. Marjoram oil is extracted by steam distillation of both fresh and dried leaves of the marjoram plant. It has a spicy, woody scent and is relaxing while mentally strengthening. It relaxes tense muscles after exercise and supports both the nervous and cardiovascular systems. It can be used occasionally to relieve simple nervous tension. Rosemary was one of the earliest plants to be used in medicine, used by the Romans, the Ancients Greeks and throughout the Middle Ages. It can help to relieve pain but more importantly is a very good oil for tired, stiff and over worked muscles. It can be used both before and after training.